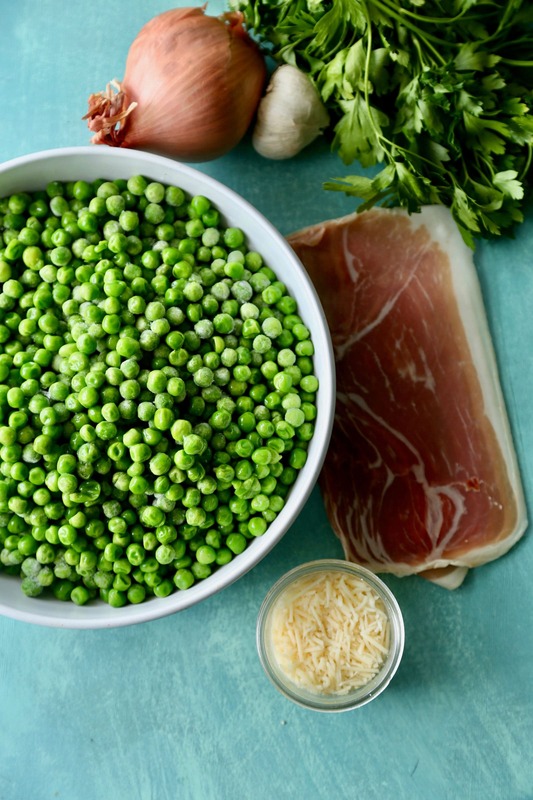 These sautéed peas with prosciutto and shallots are the best 15 minute side dish… perfect for a weeknight meal or holiday feast! This time of year, we can all use a quick, easy, go-to side dish. These sautéed peas are exactly that! 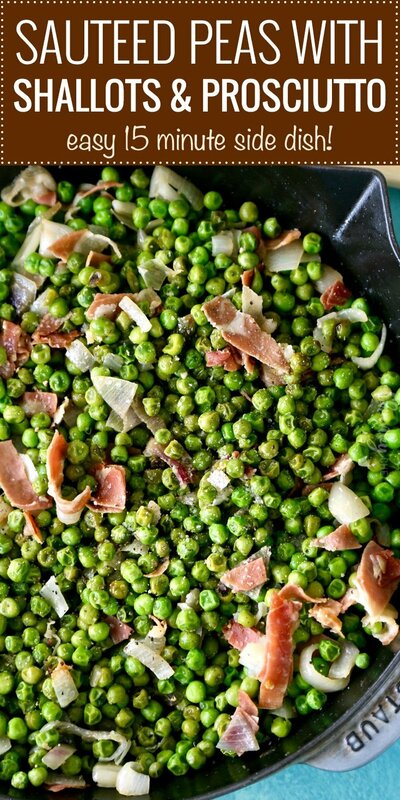 Sautéed with shallots and prosciutto, they’ll be a favorite for everyone… even people who say they don’t like peas that much! Peas. Ahhhh peas. I absolutely hated peas as a child. My parents can attest to that fact… I spent many a dinner time, staring at my plate of peas, determined to NOT eat them lol. I remember having to clean my plate before I could leave the table, so I would grudgingly eat a spoonful of peas, then gulp down half a glass of water or milk to get them down. As I grew older I realized I was a fool, and peas are actually really delicious! 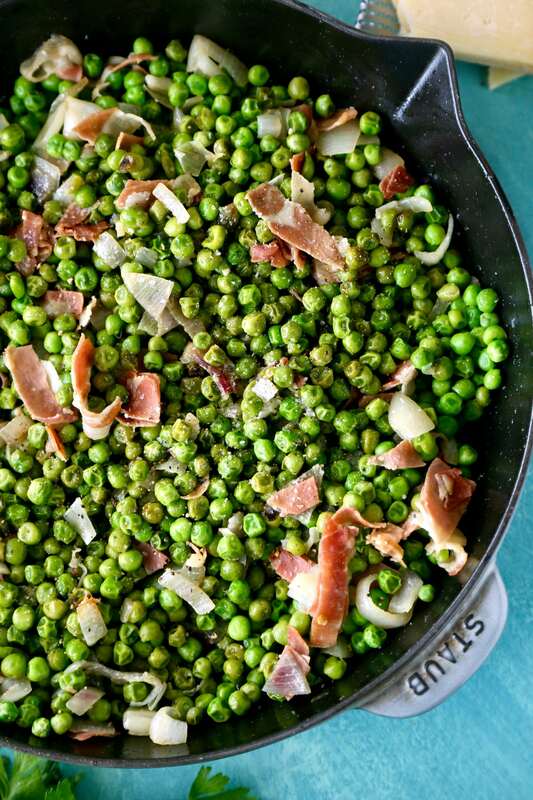 These peas with shallots and prosciutto are amazing, you just have to try them!! 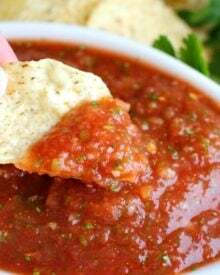 Don’t be surprised if you reach for seconds, or even thirds! Here’s how to make them… toss some garlic and shallots into a skillet with some olive oil or butter. Once they’ve cooked a few minutes, add in some sliced proscuitto ham. Once shallots and garlic are translucent, add in a bag of frozen peas and stir until heated through. 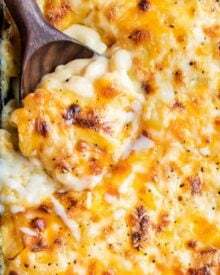 Serve topped with parsley and a sprinkle of grated parmesan cheese. Simple right? 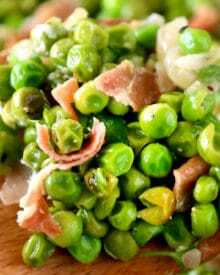 I like to serve these peas with prosciutto just about anytime, but they’re fancy enough to have for a dinner party side dish, or at a big holiday feast! 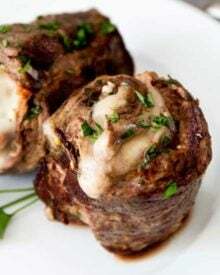 We have several holiday meals coming up over the next few months, and these would be perfect. I don’t know about you, but I get tired of the same old side dishes, and these peas would be a fabulous change up! It’s delicious! Okay okay, not the answer you wanted right? It’s actually an Italian dry-cured ham, which is generally sold in thin slices. 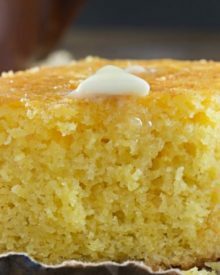 It has a salty, buttery flavor and just melts in your mouth! Do yourself a favor and add some to your next sandwich, wrap some around a piece of mozzarella cheese, or make this amazing stuffed chicken Florentine! In my grocery store, it’s sold pre-sliced, in a package near the deli. 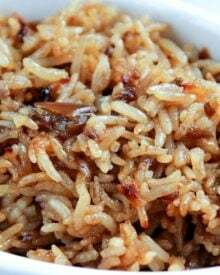 LOOKING FOR OTHER SIDE DISH RECIPES? 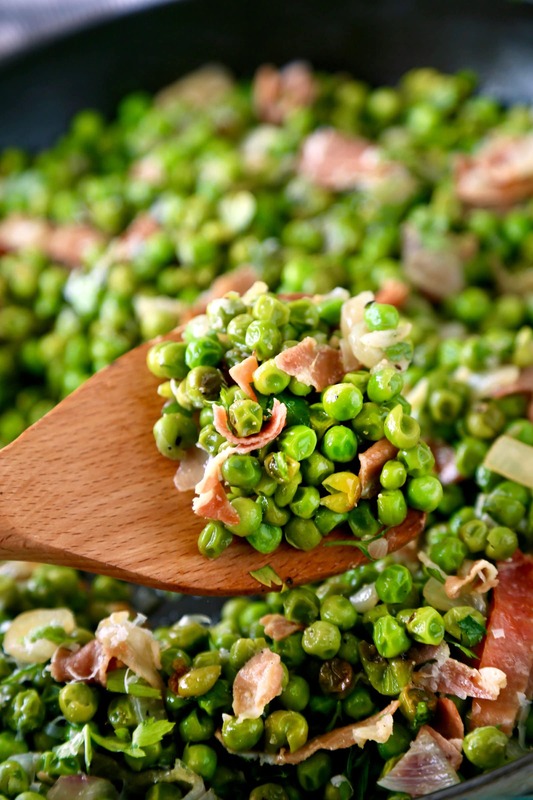 Want to try this Peas with Prosciutto recipe? PIN IT to your SIDES or VEGETABLES board to save for later! These sautéed peas with prosciutto and shallots are the best 15 minute side dish... perfect for a weeknight meal or holiday feast! Add oil to skillet over medium heat, then add shallots and garlic. Saute for 1-2 minutes. Add proscuitto and cook another minute. Add frozen peas and stir frequently, heating through for 5-7 minutes. Remove skillet from heat and add in salt, pepper, grated parmesan cheese, and chopped parsley. Classic Dinner Rolls – made in less than 1 hour! 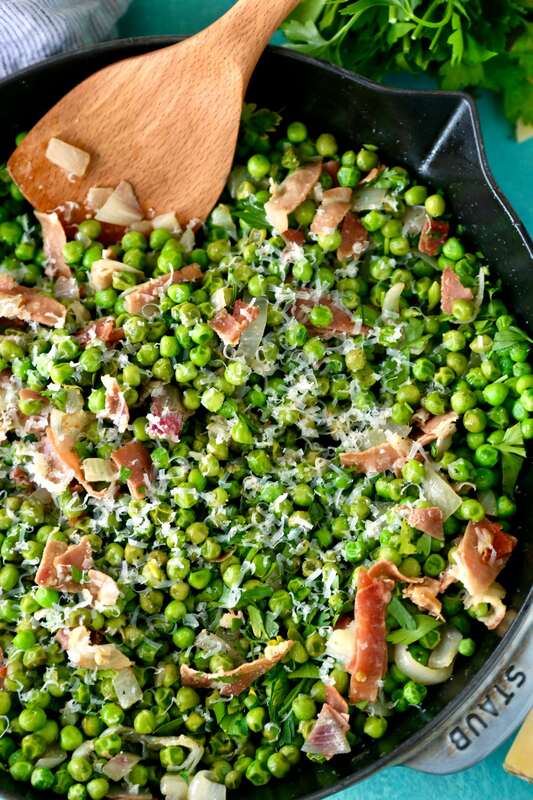 I’m not the biggest fan of peas…but with that prosciutto….yum! This is a fabulous side dish idea for the upcoming holidays. This looks so good! 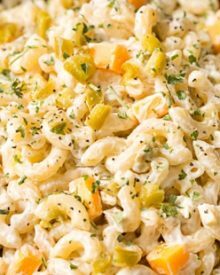 A great side dish for any dish! What a terrific side dish, love it! Pinning to try later! Yummy! This would be a perfect side for Thanksgiving or Christmas dinner. I know my kids wouldn’t complain! This might be the most genius way for me to get my boys to eat peas! You’re the best! !